Were you aware that only officially approved FDA treatments for rosacea are the 4 treatments from Galderma – Metrogel, Oracea, Soolantra & and Mirvaso, and one from Bayer Healthcare – Finacea? Is Off Label Prescribing Allowed? So is your doctor breaking any rules prescribing you something that hasn’t been approved as a treatment for rosacea? Not according to the FDA, no. The only requirement is the drug is used in the practice of medicine. If physicians use a product for an indication not in the approved labeling, they have the responsibility to be well informed about the product, to base its use on firm scientific rationale and on sound medical evidence, and to maintain records of the product’s use and effects. 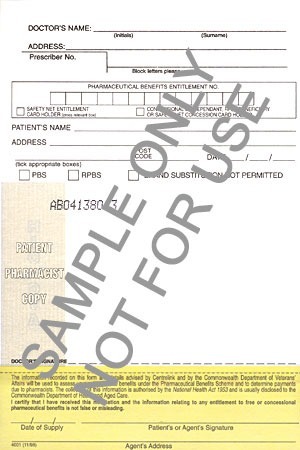 Use of a marketed product in this manner when the intent is the “practice of medicine” does not require the submission of an Investigational New Drug Application (IND), Investigational Device Exemption (IDE) or review by an Institutional Review Board (IRB). However, the institution at which the product will be used may, under its own authority, require IRB review or other institutional oversight. Isotretinoin was shown to be effective in patients with treatment-resistant rosacea by Nikolowski and Plewig in 1980 for the first time. Since then, many other studies confirmed its efficacy in a daily dose of 0.5 to 1.0 mg/kg. However, it has also been noted that adverse effects of the drug may limit its use. Although a commonly prescribed antibioitic, the tetracycline family member doxycycline is not officially approved as a treatment for rosacea. Recently, though, Oracea was approved for use in rosacea. Oracea is a 40mg tablet of doxycycline, containing a 10mg delayed released segment. A cheaper alternative to Oracea, namely generic doxycycline 50mg a day, can be prescribed by your doctor and should offer a similar benefit. Macrolide Antibiotics offer alternative treatment options to the well known tetracycline antibiotics. In recent years good studies have shown that some of these macrolides are safe and effective in treating rosacea. Oxymetazoline is the active ingredient in decongestant products like Afrin, Sudafed OM and Vicks Sinex as well as in eye drops like Visine LR. There are published papers detailing the use of Afrin for the redness of rosacea. Pregabalin (Lyrica) is a medication normally used to treat epilepsy and is listed as one of the possible treatments for neurogenic rosacea. Stromectol has been used in dermatology for some time but its use in rosacea is new. Ivermectin has a structure similar to that of macrolide antibiotics, but without antibacterial activity. It is used against a wide range of endoparasites and ectoparasites. There are but a few treatments for the facial flushing associated with rosacea. Botox blocks the release of acetylcholine, a neural transmitter that is part of the autonomic nervous system and may offer options to sufferers of facial flushing. Alpha-2 agonist such as clonidine or beta-blockers such as propranolol and nadolol may sometimes be prescribed to help reduce emotionally triggered flushing that is controlled by the autonomic nerves. Sometimes strong doses of steroids can be used to break a severe case of rosacea or rosacea fulmians. Only being developed as a treatment for Erythropoietic Protoporphyria and Vitiligio, Scenesse is interesting for rosacea sufferers who have the sun as a severe rosacea trigger and are looking for some system photoprotection. What worked off-label for you? Did you doctor prescribed something “unofficial” that really helped your rosacea? Doctors at UCSF prescribed Brimonidine Eye Drops to use topically before the FDA approved Mirvaso and Ivermectin cream before Soolantra. Interesting, I had bad rebound blushing using the Brimonidine and my skin greatly improved using Ivermectin. Since these experiences, I now use Soolantra with great results but know to stay clear of using Mirvaso. Low-dose isotretinoin which really helped, as well as topical tretinoin, that I continue to use. Doctor prescribed Aczone 5% when neither Finacea or Metrogel 1% with Oracea improved rosacea. Used Aczone twice and it left a bad burn skin. Soolantra and Oracea have been helpful with facial/ocular rosacea. I found Benzac, which is distributed by Galderma. It is a 2 percent salicylic acid for my papsule rosacea. I use it as a spot treatment and it seems to significantly reduce the redness which can last weeks. Believe it or not I found it at the dollar tree. I have been using soolantra and it works well but this seems to reduce the redness sooner. My question is this, is salicylic acid even a treatment for papsule rosacea? Or did I just stumble onto this treatment out of desperation . I have been dealing with this for 2 years. I would appreciate comments regarding my findings. You should have a look at saicylic acid and its anti-inflammatory action. Paula’s Choice has a lot of information on it on their website. and Soolantra will cost me $250 for my deductable, and $100 a tube. $47 a tube after the deductible. Had e-mailed Galderma about the price. Galderma said they do not set the prices. Then who does !! on my health insurance while still working. do not work for Medicare patients. Government would then be supplementing Galderma. the papsules started. She had absolutely no reaction, or comment at all. Like she did not hear me. Great doctor. Will not go there yet, that’s why I appreciate the Benzac info. I am making another observation. With papsule rosacea, you MUST wash your face 2× per day, even 3. I found a soap on Amazon called Cetaphil gentle cleaning antibacterial soap, made by Galderma. This soap makes my face feel so clean and not dry, I am 51 yo female, my skin is on the dryer side. I think it helps keep the mite population down as well. The soap lasts 6 months, I use it every single day for my face. I love it. Have been using the Cetaphil Gentle Cleaner since I was 49, now 68, 2X a day. Daily Advance Lotion Ultra Hydrating. Have been using it for about a month, and is a much better product for me, than the DML Lotion my doctor suggested.